I have made the greatest discovery!!! 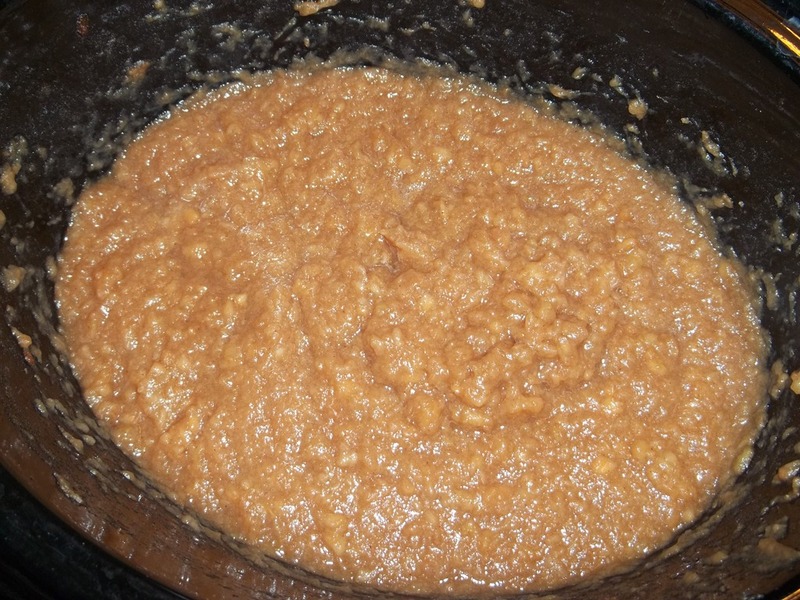 You can make the best applesauce in the crock pot!!! How amazing is that!?! And, it only takes 3 ingredients…Apples, Cinnamon, and Brown Sugar! Can you tell how excited I am about this one. Now I don’t have to be the “apple fairy” and drop bags of apples on everyone’s door step in the middle of the night. 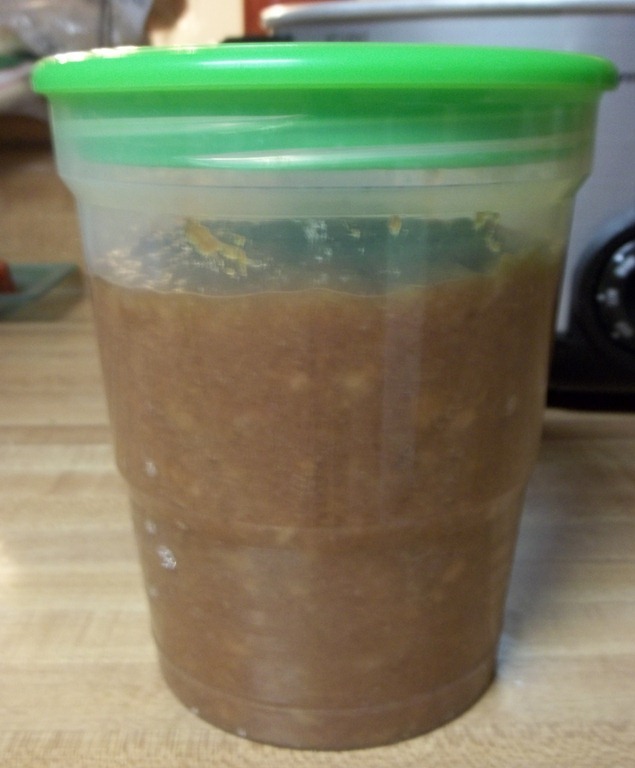 I have already made 2 batches of this applesauce in our crock pot at home, and the whole family and neighbors love it! All I can say is…Make it yourself! You will love it! Peel and slice/chop your apples and place them in a slow cooker. Sprinkle the top of the apples with cinnamon, brown sugar (add up to 1/2 cup if you like your applesauce sweeter), and add cinnamon stick. The cinnamon is optional. If you don’t like cinnamon in your apple sauce don’t add it. Then, add the brown sugar and stir to mix cinnamon and brown sugar in with the apples. Set your slow cooker on low for 6-7 hours. 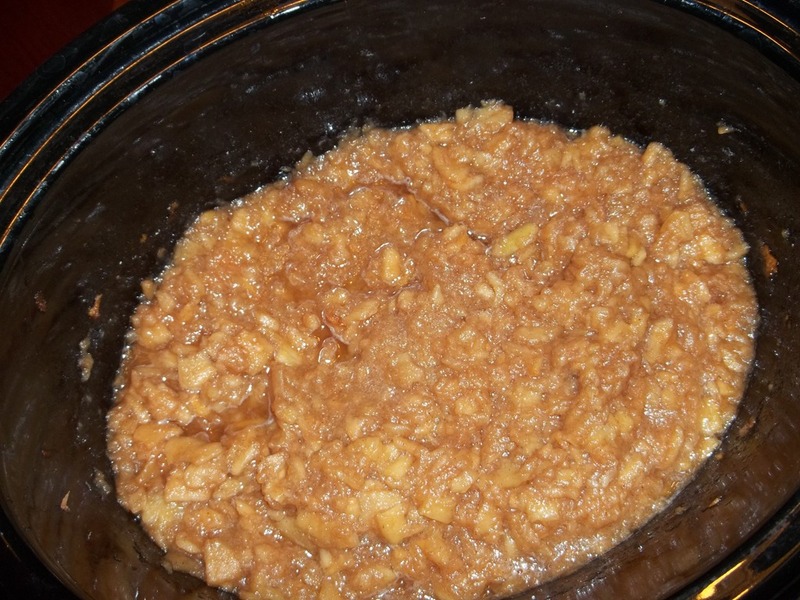 I stirred the apples a few times while they were breaking down in the slow cooker. After the apples are done you can use an immersion blender to mash the apples up. However, I found that the apples are so soft that all you need is a potato masher, and in 1 minute you will have applesauce! You can freeze, can, or immediately eat your applesauce!! Add the apples to the slow cooker. Then sprinkle the top with cinnamon, brown sugar, and add cinnamon stick. Cook on low in slow cooker for 6-7 hours. I stirred the apples a few times while they were in the slow cooker. Use and immersion blender or potato masher to break down the apples to the consistency you want. I put the apple sauce in the Ball Plastic Freezer jars. 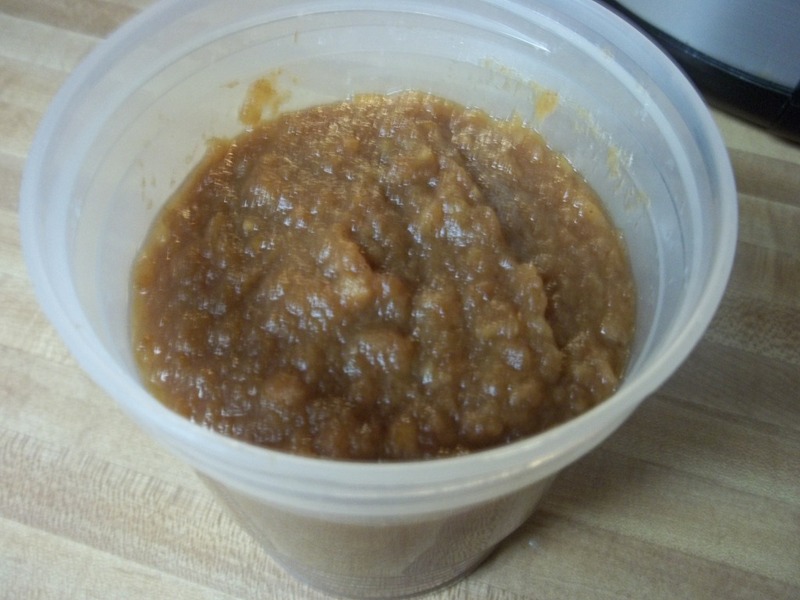 You could can, freeze, or refrigerate your applesauce. 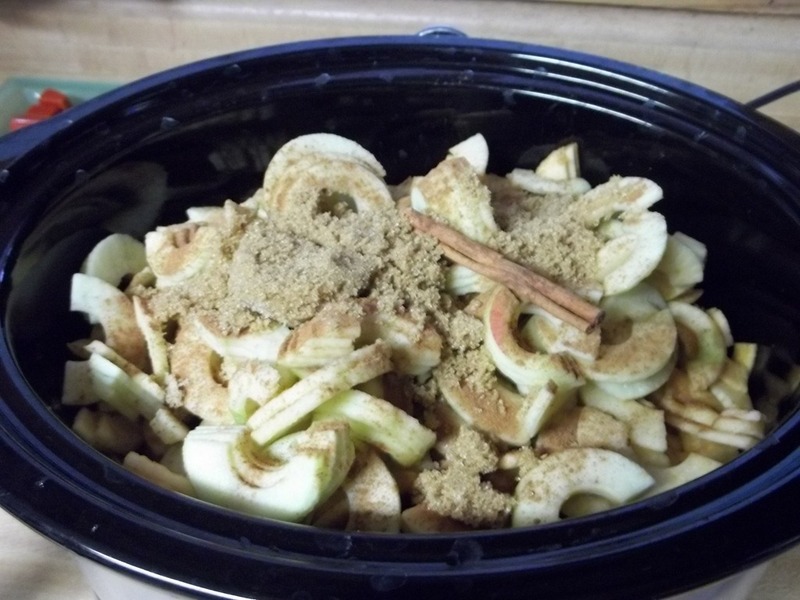 This entry was posted in Recipes and tagged apple, apple cinnamon, apple cinnamon applesauce, applesauce recipe, cinnamon, crock pot, crock pot applesauce, crock pot applesauce recipe, slow cooker, slow cooker applesauce recipe on October 12, 2012 by fromfltond.